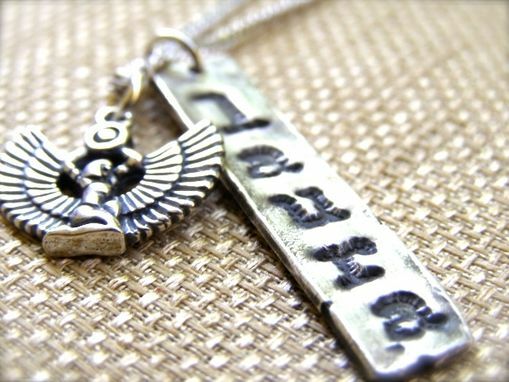 Design a one-of-a-kind necklace that's just rich with your personality. I will be honored to work with you one on one to create the perfect necklace for you or your loved ones. 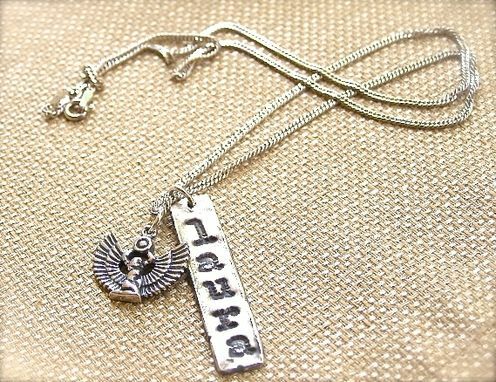 The name charms and most of the initial charms are handmade by me out of PMC 99.9% pure silver. I love to scavage (for new things), so most of the themed charms will be found objects. The charms are suspended from a sterling silver chain in the length of your choice: 16, 18 or 20". And they can have an oxidized finish or not. If you'd like a set of necklaces in celebration of someone or some event, I am happy to work with you to create the perfect piece.